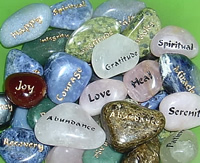 Today we’ll wrap up creating effective positive affirmations using an Affirmation Insurance Policy. Your affirmation insurance policy consist of three sections. How do you know what you’re affirming is in your best interest? Affirmations are powerful and will bring whatever you focus in your life when using repetition and emotion. Dr. Robert Anthony suggest making sure they are in your best interest by using this at the end of your affirmations. "I accept this or Something Better. Please make whatever take place for the highest good of myself and everyone else involved." Keep your affirmations secret. If you keep them to yourself, you won’t feel pressured by the "have to" do it. Telling others gives then an opportunity to work against you, intentionally or not. You avoid the people trying to stop you or offer their advice for your own good… keep it to yourself. Only reveal your affirmations to people who need to know or can help you realize them more quickly. "I choose to enjoy making my affirmations regularly." This will set your mind up to enjoy creating and using affirmations on a regular basis… especially if you’re just starting out or it’s been quite awhile since you did affirmations. Using the techniques shared throughout the seven truths, you can make your affirmation experience to create the life you desire, more easy and fun. I bet you’ll be more excited with your result. Great article Ann, you brought out some very effective points. I really like the idea of creating a “policy”, that certainly gives it a level of importance doesn’t it? You and your readers might be interested in my new book, I’m giving it away on my website. Affirmative Power – The Science of Affirmations” goes deep into an understanding of how, why and when affirmations work and how to use them for maximum effectiveness.